Q. 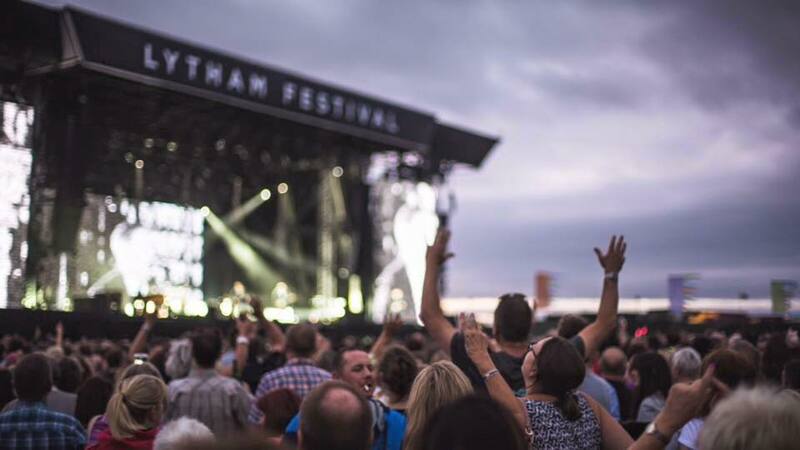 What are the dates for Lytham Festival 2019? A. Lytham Festival will be running from Wednesday 10th July to Sunday 14th July. Q. How do I keep up to date with all the news from Lytham Festival? Q. What type of tickets are there? Q. Where can I buy VIP tickets? Q. Where can I buy disabled tickets? Q. I am a resident. Where can I find information? Q. When is the Hub open? A. The Hub will open in June 2019. More information available nearer the time. Q. When is the box office open? A. The box office will be open on each show day from 2pm until 9pm. Please note that the venue box office has changed location situated near GATE B, please click HERE. Q. I am collecting tickets, where do I go? A. Please visit the box office situated near GATE B, please click HERE. Q. I have not received my tickets? A. If you have selected a Digital Print Pass, please check the inbox and junk folders for the email address used at time of booking as this will have already been emailed to you. If you have selected Standard or Secure post, and it is now 4 weeks before the concert please call 0333 321 9999. A. General admission gates open at 6pm on Wednesday 10th July to Saturday 13th July. Q. What time are the acts on stage? Q. Is the event outdoors? A. Yes, please ensure you dress for the weather and don’t forget your sun cream! Q. If it rains will the concert still go ahead? A. Absolutely! Concerts are only ever cancelled due to the weather if the conditions become dangerous. However, you cannot bring an umbrella, so please dress appropriately. A. Chairs are not allowed into the arena on the Wednesday, Thursday, Friday and Saturday concerts. Q. Are there cash machines at the festival? A. Yes. However, bars and concessions accept card payments. Q. What is your policy for children? A. Under 16s must be accompanied by an adult aged 18 and over who has their own ticket. Children aged 2 and under can attend for free and don’t require a ticket. All other children must have a full price ticket to enter the concert. A. Yes, parking is available on the green immediately next to the proms arena for VIP, Disabled and General Admission Customers. Car parking will be £10 when booked in advance and £20 if booked on the day of the event. Car parks open from 3pm on the day of the event. Cars are not permitted to be left on the green overnight. Q. Is there a dedicated wheelchair platform? Q. How do I purchase a wheelchair platform ticket? A. Wheelchair platform tickets are available to be purchased online HERE and on the phone at 0800 988 4440. Booking early is advised. Q. How do I purchase an ambulant ticket? Q. I require a disabled parking. What do I need to do? A. Car parking tickets are non-specific; however, we have a designated blue badge area, specifically for blue badge holders. This is a short distance from the entrance to the arena. Car parking tickets can be purchased online. Access to the disabled car park will only be granted to those with a valid blue badge, we ask that this is displayed clearly, along with your car park ticket, on your dashboard upon entry. Q. What can I not bring? Food and Drink (Apart from on the Sunday). A. Yes, but please try to bring a bag no larger than an A4 piece of paper. All bags are subject to a search so please avoid bringing one where you can to speed up your entry to the concert. Q. If you lose something? Taxis can drop off on the promenade, however they will not get further than Dicconson Terrace. The closest taxi rank for pic ups is on Dicconson Terrace/Henry Street. There is another alternative rank in Lytham opposite Zest café in Lytham town. There is car parking located next the festival on Lytham Green. Tickets are available to purchase online for £10.00 or on the day for £20 HERE. Please follow the signs for the general car park. If you have purchased a ticket for The Lounge you will have received your parking pass with your tickets. Please ensure you follow the signs for the VIP Car park. General Admission Disabled and VIP car parks open at 3pm. Cars are not permitted to stay on the green overnight.